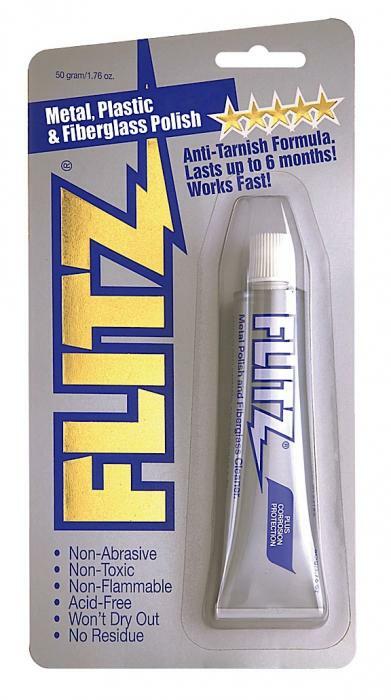 Flitz polish paste anti-tarnish formula. Cleans, polishes, deoxidizes and protects. Non-abrasive, non-toxic and non-flammable. Protects up to 6 months in fresh water, up to 3 months in salt water. 1.7 oz. tube.